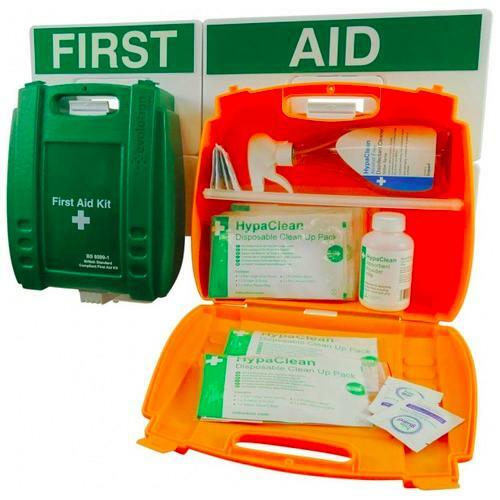 The Evolution British Standard Compliant Eyewash & First Aid Point is confirmed as the best start in creating a first aid point in any organisation. 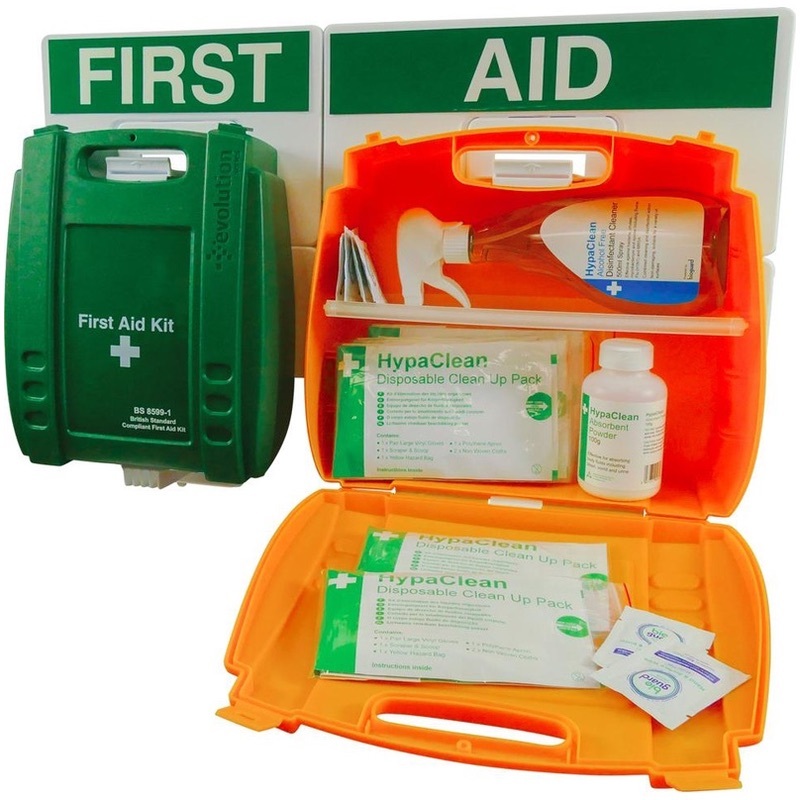 It includes a first aid kit and an emergency eyewash kit which are essential in any work environment. This First Aid Point helps you comply with British Standard requirements for workplace and provides the necessary content in case of a casualty. The first aid point comes fully stocked, with unique brackets to ensure kits are securely fixed to the wall. The kits are removable for portable use, and the point has bracket labels to identify when a kit has been removed, as well as photo-luminescent bracket headers for easy identification of kits location even in dark or smoky conditions. The kits feature a shelf ensuring contents remain in place when the kit is opened on the wall. The brackets allow the kit to be opened and used as a workbench against the wall which makes it ideal for all rapid response situations.